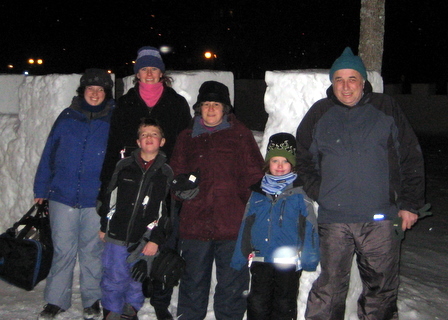 2010 in Review: Happy New Year! This year started with some late Christmas celebrations! After all, there's never a wrong time to open more presents. 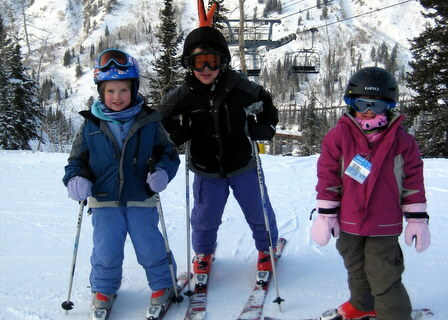 We also had our usual traditions of downhill skiing in Utah in January (Utah photo album) and cross-country skiing up north for February vacation. 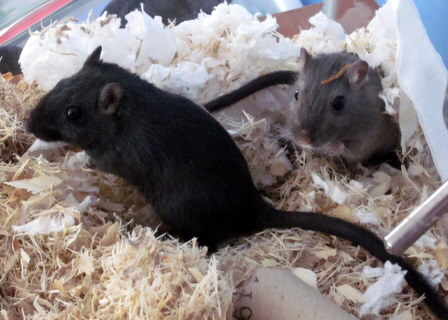 At the end of January, Julia adopted 2 gerbils who she named Blackie and Cloudy. 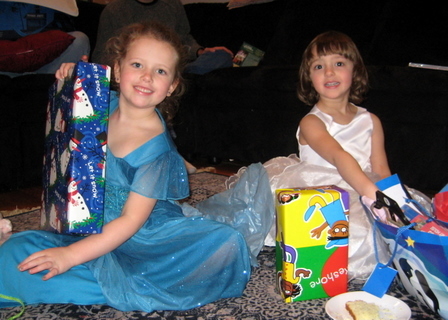 Karen had many pet mice as a child and she and Julia love watching the gerbils scamper around in their cage. They are also popular with our cats and visiting children. Karen likes to collect empty paper towel and toilet paper tubes to give to them which has led to some strange encounters. For example, smuggling empty paper towel tubes home from work and one memorable occasion when she came out of the bathroom during a dinner party at Das' house and asked if she could take the toilet paper tube home with her (this caused plenty of raucous laughter and teasing). 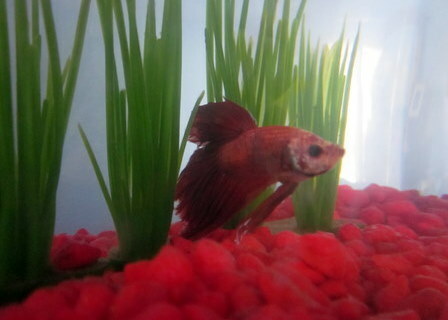 Julia also adopted a new beta fish name Freddy. 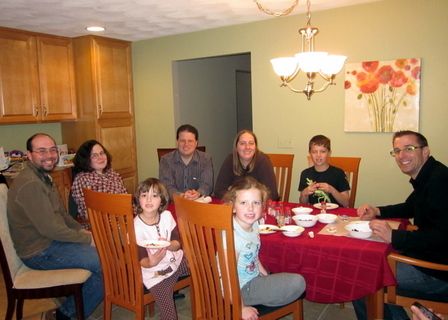 We also continued the tradition of a wonderful and tasty hamentashen party hosted by our friends Nathan and Bridget and their son Noah. February was also the start of quite an adventure. We had been casually thinking about moving or putting an addition on our old house and in February we saw a house that we really loved and made a winning offer. This was the beginning of an epic journey that included buying and renovating our new house (new roof, new kitchen, new master bath, updated kids bath, new floors on the first level, paint throughout), selling our old house (open houses, keeping the house clean, ferrying the cats and gerbils to other locations when people were visiting, two deals that fell through), dealing with the record flooding that unfortunately flooded our semi-finished basement while our house was on the market (it was extremely humbling to watch the water pour in and to be completely powerless), and ultimately moving into our new house in June (it took the movers 2 days - we apparently have a real gift for choosing extremely complicated bedroom furniture that has to be disassembled and reassembled). Whew! 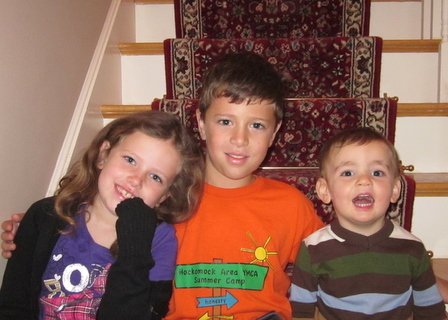 The new house is also in Sharon and the kids attend the same school so there wasn't much disruption for them. We would like to take this opportunity to thank all the family and friends who had to listen to us talk endlessly about paint colors and especially our cousin Jimmy who helped paint the kids' bedrooms with interesting pictures and patterns. Karen would also like to say a special thanks to her friend Jim G who helped after a search for "bathroom vanity lights" on Google Images led to a horrible, "hot naked chicks" kind of virus that she couldn't get rid of. "Vanity lights" has a whole new meaning now! 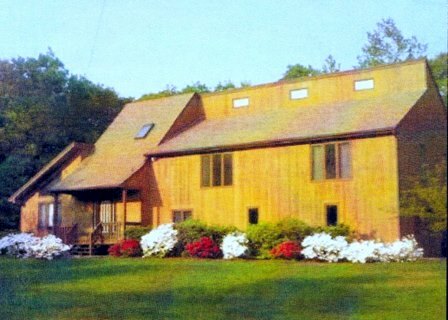 Our new house (it looks orange in this picture but it's really brown) - please come visit us and see for yourself! 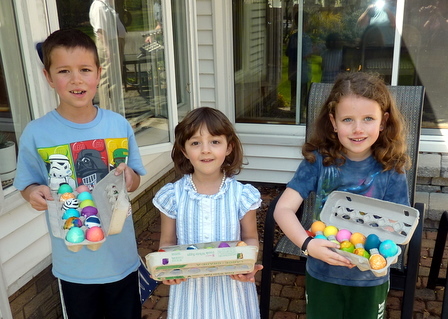 In April we celebrated a wonderful Easter with Karen's family in Connecticut with all the traditional Easter fun. 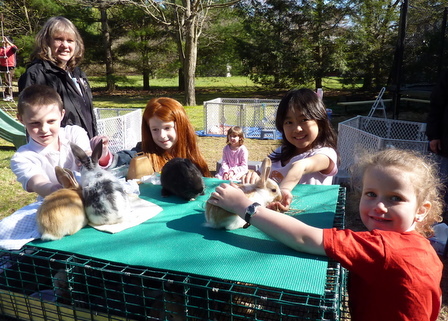 Julia turned 7 and had a party where she and her friends got to pet and play with a bunch of baby animals (puppies, kittens, bunnies, a goat, and a pot-bellied pig). It was almost cuteness overload! 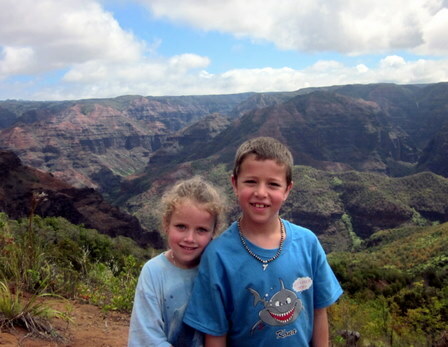 For April school vacation we took an amazing Hawaiian cruise (Hawaii photo album). 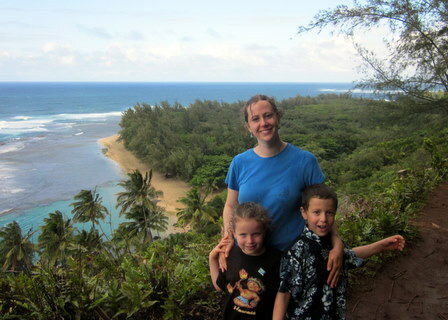 Our hike through the Napali coast on Kauai was particularly memorable for the incredible amounts of mud on the trail, the spectacular views, and the gigantic waves. 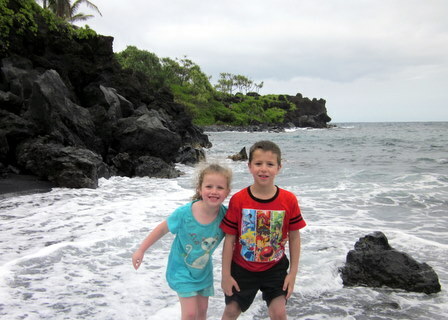 On the big island we enjoyed visiting with Bob, who used to work with Leo at Bancware. We got a less expensive flight by flying out of NYC but on the way back this involved getting to the airport in Honolulu, a 10 hour red-eye flight, getting our luggage, taking a shuttle to our car, and then a 4 hour drive back home. 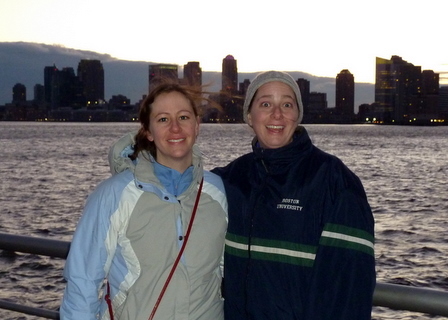 Karen was proud at being so awake and alert after such a journey. The next morning when she went to feed the cats she realized she had been so tired the night before that she had put the top of the cats' litter box on backwards so it faced the wall and they couldn't get in. The poor cats had to improvise in unpleasant ways and Karen realized maybe her mind hadn't been quite so clear after all! For his birthday Gregory decided to invite a few of his closest friends for a sleepover party at our house. I don't think there was much sleep involved but the kids certainly had a good time. 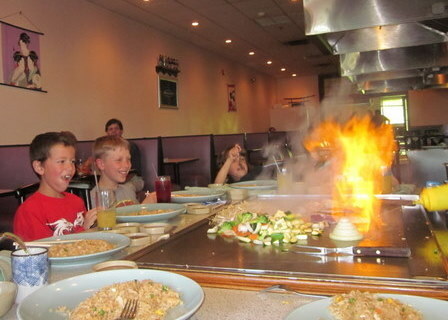 We also took them out to dinner at a hibachi steak house where they enjoyed watching the chef cook. In May Karen finally got her Master's degree in Computer Information Systems from Boston University! It took 11 years of sporadically taking night classes but she did it. 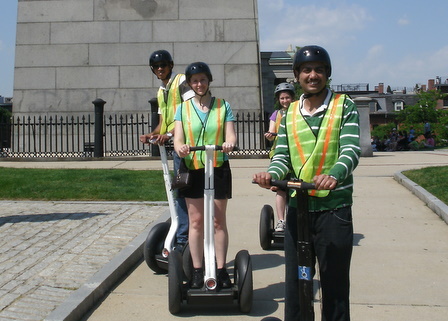 Karen also went on an "Amazing Race" segway tour of Boston with her team from Pega. It was a lot of fun to try out a different way to travel! And yes, if pressed she will grudgingly admit that Das' team won. For the summer the kids went to camp at the local YMCA. They had a really good time at both the general camp and the different specialty camps they signed up for. Gregory's favorite was computer camp (they basically got to play computer games all day for a week - what's not to love?) and Julia's favorite was sports camp. 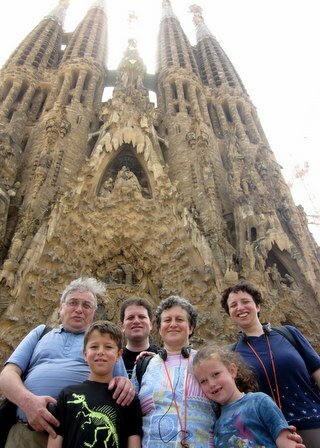 We took one week off in July to visit Barcelona, Spain (Barcelona photo album) with Leo's family. We were in Spain during the quarter and semi-finals for the world cup so there was a lot of excitement about soccer with crowds of people huddled around TVs in all the restaurants and bars, cars honking and flags waving, and gigantic celebratory mobs in the streets. We left the day before the final where Spain defeated the Netherlands so we missed the biggest celebration. Another interesting side note from the Spain trip was that Karen read most of the book series "The Great Brain" to the kids on various train rides. It was a book series she remembered fondly from her own childhood so it was fun to re-experience it. In August we were thrilled to get a vist from Karen's cousin Chris and his family as they toured colleges for their daughter Leena. 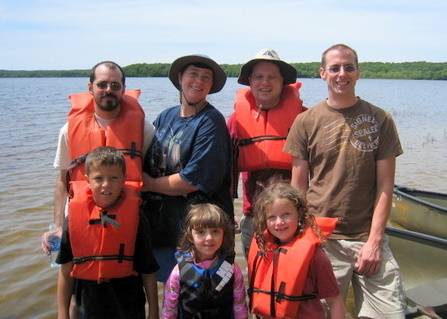 At the end of August we continued another cherished family tradition by going camping with Karen's sister and her family and Karen's cousin Jimmy. 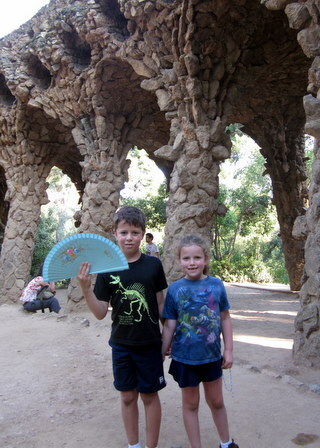 This year we also convinced Leo's sister Katya and our friends/family Heather and Vlad to come. One of the highlights of the trip was the guitar show-down between Jimmy and Karen. They played a few songs and also each played a song that they had written as an ode to the other. 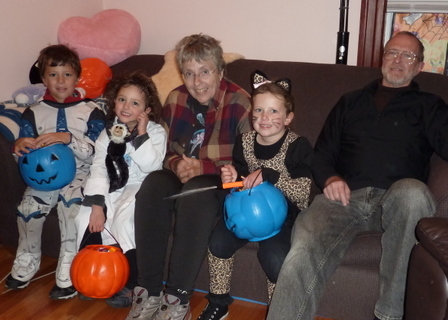 For Halloween we first attended Jack Dill's birthday party with everyone dressed in costume. Then Karen's parents came for a visit that week and we spent Halloween night trick-or-treating around Karen's sister house in Medford. 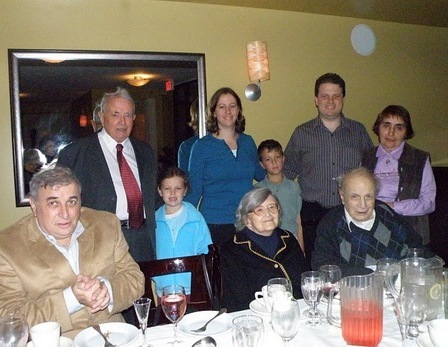 This year marked the 60th wedding anniversary for Leo's paternal grandparents! Julia was in quarantine at the party because she had strep throat (again!) but we all still managed to have a good time. At the party for the 50th anniversary 10 years ago Karen was secretly pregnant with Gregory. How far we've come since then! Another joy this year was when our close friends Heather and Vlad moved to Sharon (we're now up to 4 Zelevinsky households in Sharon!). 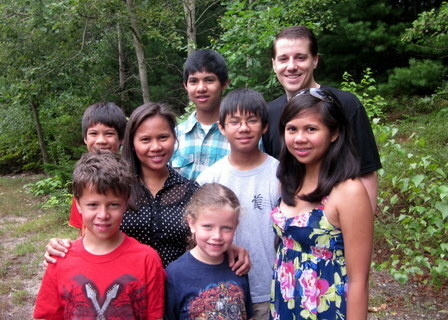 We've been able to spend even more time with them after they moved and we often visit each other for dinner, drinks, games, guitar playing, and movie watching. 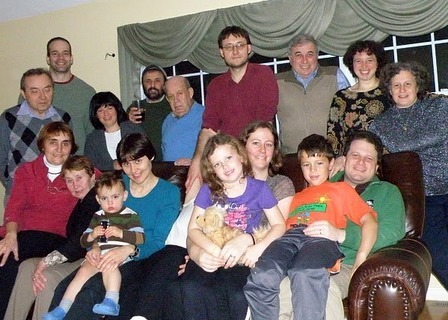 This year they hosted a marvelous Thanksgiving dinner with the entire Zelevinsky clan, including Anthony, Leo's adorable second cousin. 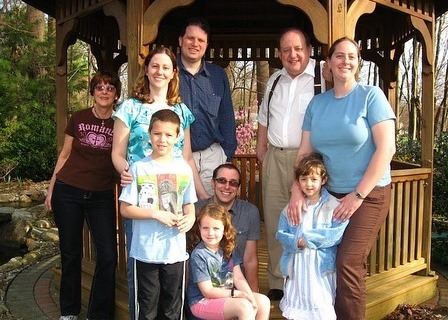 We spent the rest of the long Thanksgiving weekend in Connecticut with Karen's extended family including an exciting birthday dinner for Karen's cousin at a Cuban restaurant in the West Village in NYC while Karen's aunt and uncle watched Gregory, Julia, and Grace.. The holidays this year were full as always. We celebrated both Hannukah and Christmas and the kids performed in the "revels" celebration at our Unitarian Universalist Church. 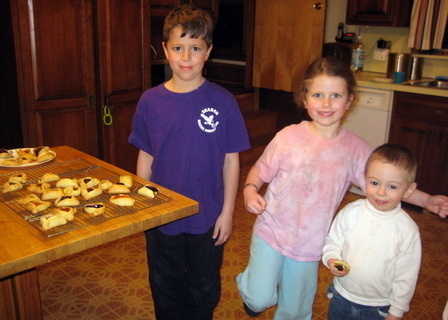 We also had a fun time making holiday cookies with family plus Nathan, Bridget, and Noah. 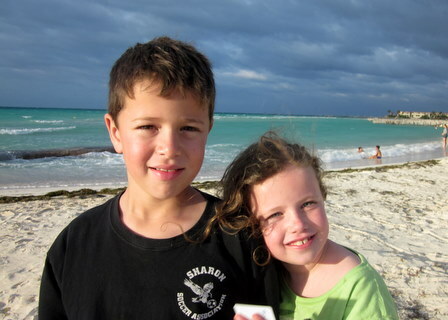 Our last hurrah for 2010 was a trip with Leo's family to Isla Mujeres, a gorgeous little island off the coast of Cancun (Mexico photo album). Karen's favorite parts were driving golf carts all around the island with the wind whipping through our hair and her massages on the beach. 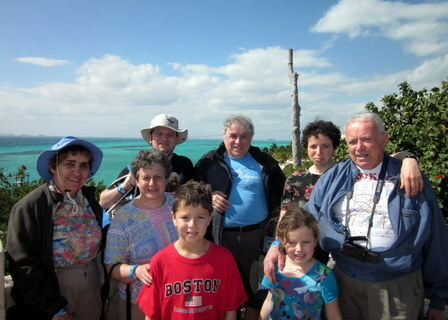 Leo enjoyed the food and drink and our private snorkeling trip. The trip started off a bit funny. We had to leave at 4:30 AM and in the frantic dash to the airport we managed to only bring a single pair of shoes for Gregory - his snow boots! 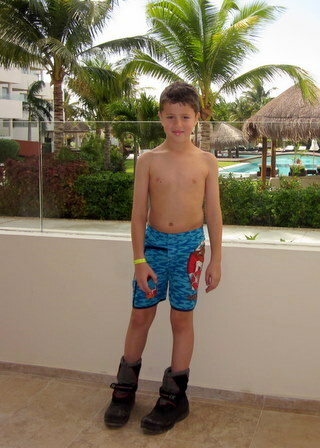 Not exactly the right attire for Mexico. :) We managed to buy him some sandals the first evening we were there. Another interesting part of the trip was that our hotel overlooked a beautiful and colorful cemetery that we went over to explore one afternoon. 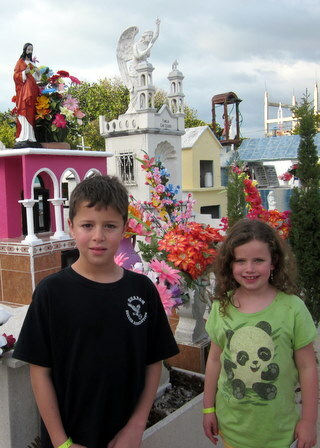 The tombs were very colorful, many with pictures and candles for the deceased, and some even had Christmas lights! 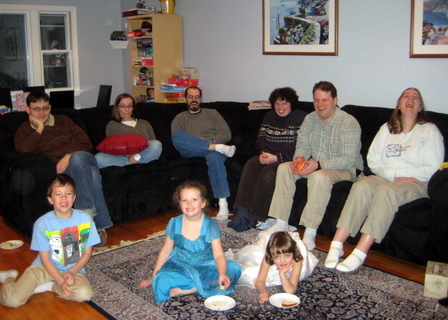 Our once-a-week "TV night" that we've done for the past 10 years has continued to be a source of enjoyment. In addition to our usual crew of Dan, Amy, and Katya we have also welcomed Leo's co-worker Matt into the fold. 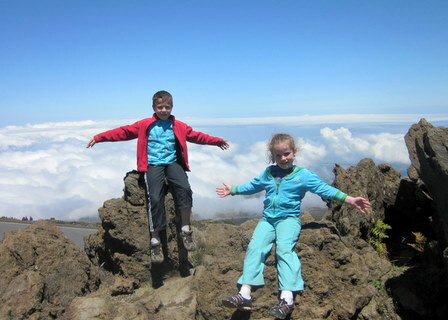 Our kids have even got in on the fun as we let them stay up for the first half hour to watch an episode of Avatar: The Last Airbender (the TV series, not the movie). Overall we're all doing well. 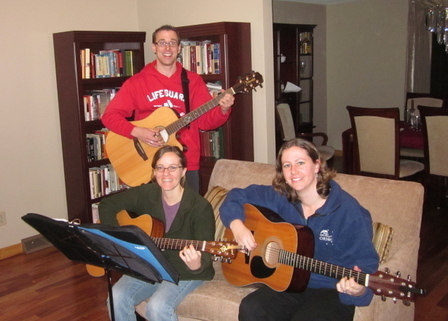 Karen's enjoying playing guitar with Heather and Jimmy. Leo's still loving his job at Turbine working on Lord of the Rings Online and has been progressing in Karate, most recently achieving a purple belt. The kids love to play with their friends and also with each other (in a kind of love/torture relationship). 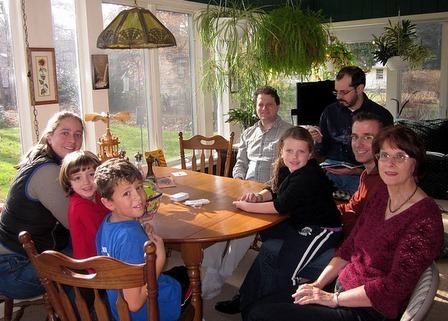 The whole family really enjoys playing all sorts of board games, video games, and card games and we like reading books both alone and to each other. We're still working on getting better organized, but hey, there's always next year! 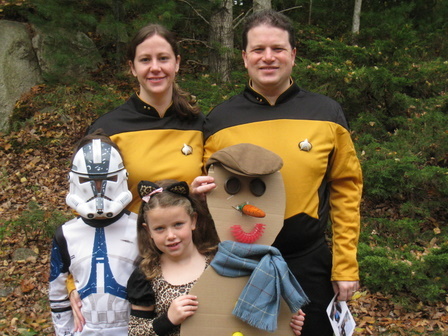 Happy holidays to everyone and we hope you have a wonderful 2011!